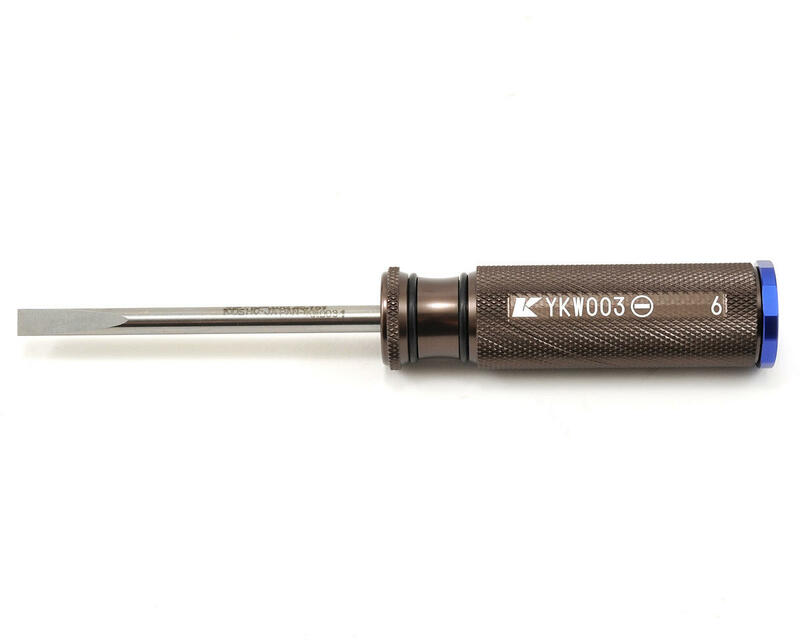 This is the Kyosho Kanai Tools 6mm Flat Head Screwdriver. 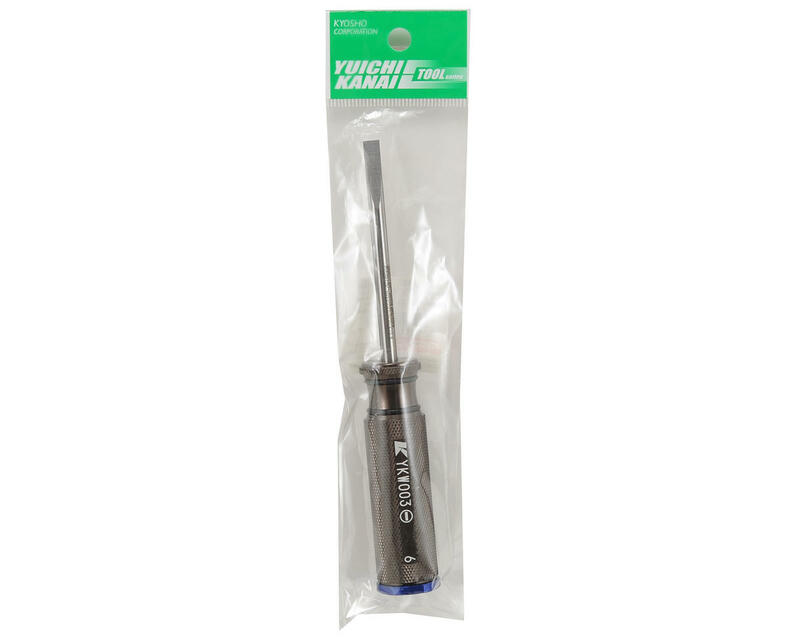 Kanai tools are manufactured in Japan from the highest quality aluminum and tool steel. The handles are machined from aluminum with a knurled surface combined with o-rings that provide and incredibly high grip surface. The color coded end cap makes it easy to identify the tool and the tool steel tips are replaceable in the event that they are damaged.